Sage yesterday provided our 90 Minds Consulting Group with three documents that explain a little more about the features, functionality and cost of their Sage MAS Intelligence reporting tool. As you probably recall Sage was forced to retire the distribution of FRX Financial Reporting as of January 31, 2011. This occurred because Microsoft (the owner/publisher of FRX) discontinued distribution effectively bringing product sales of FRX to an end of life with support terminating at the end of 2012. 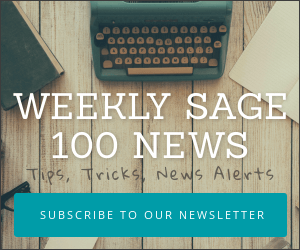 Though Sage have promised FRX compatibility through Sage ERP MAS 90 and 200 v4.5 – they’re already rolling out Sage MAS Intelligence as their featured replacement for FRX. Since existing users of Sage ERP MAS 90 and 200 receive a free license of Sage MAS Intelligence (customers on plan receive a free Report Manager license and a Security Manager for Sage ERP MAS 90 and 200 v4.4 — or EES 1.4). There have been a number of questions (cost, functionality) that users and consultants have asked which I think are answered quite nicely in the PDF files below. What is Sage MAS Intelligence?